Thursday 2.0 takes place in the near-future, where man and machine have converged and every sense is filtered through and shaped by The Cloud. In such a world where the physical and the virtual are one, reality is never what it seems. But for Gabriel Syme, reality becomes ever more deadly the deeper he infiltrates a mysterious cyber terrorist group called the Council of Days. In a chase across Europe, Syme and some unlikely allies race to thwart the assassination of two world leaders, only to uncover an even deeper and more dangerous mystery: Who is Sunday? I first discovered Chesterton a few years ago while searching for quotes to include in my other writing. It seemed no matter what subject there could be found a witty and insightful nugget of wisdom attributed to GKC. After coming across several of these, I finally decided to find out who this Chesterton was and why I had never heard of him. 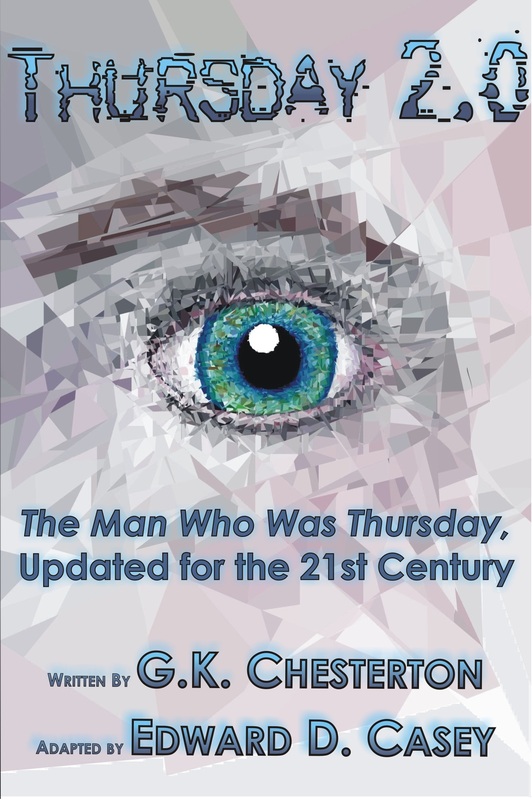 GKC is best known for his Father Brown Mysteries, but it seemed from online chatter the place to start was with his novel The Man Who Was Thursday. I quickly found a copy and was instantly hooked. I burned through the pages and by the end felt changed. I felt like I had dug up a treasure that now was part of me. This was exactly the type of book I love to read and hope to write: immensely entertaining and ringing with universal truth. TMWWT is not without its drawbacks. Having first been published in 1908, many of its cultural references and verbiage have lost their meaning with today’s readers. With a bit of research that can be overcome, yet concepts such as honor-to-the-death seem laughable in today’s world of cheap promises. I rarely reread books, but each time I came back to TMWWT, I became more and more convinced today’s world needs this book. But how can those drawbacks be overcome? After talking to some Chesterton fans and conferring with an author who had adapted some of the Father Brown tales for children, I decided to take on the arduous task of adapting TMWWT for the 21st Century. The setting, technology, characters, and motivations have all been reverently overhauled to modernize the story and make it accessible to today’s generation. This might be a bit controversial to some, but to me it was like placing an exquisite diamond in a new piece of jewelry, one that would better allow the gem to sparkle and shine as it had not in some time. And so I give you Thusday 2.0. My hope with this project is that once again it can be said of G.K. Chesterton that our generation has been so influenced by him that we don’t even realize when we’re thinking Chesterton. Lately, I’ve found the best place to center most operations is on facebook. Would you join me there? And while you’re there, would you please Like the page? 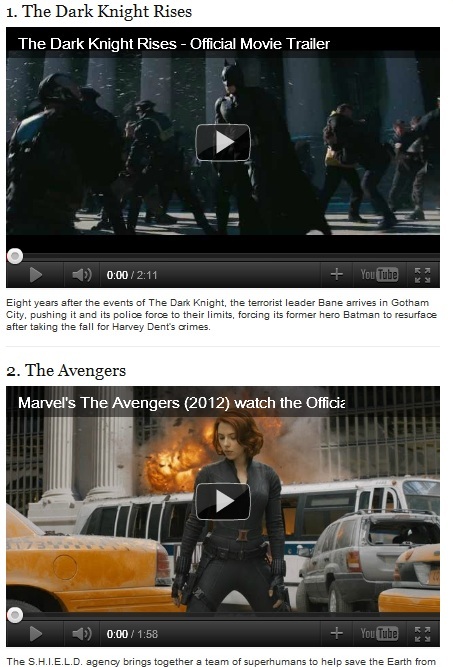 Buzzfeed has released a top ten list of the most anticipated movies of 2012. And better yet, they’ve done speculative fiction fans the great service of embedding all the trailers! See clips from The Dark Knight Rises, The Avengers, The Hobbit, Prometheus, The Amazing Spider-Man, and Men in Black 3, among others, all in one place. One of the most recognizable tropes of speculative fiction is the misguided scientist creating or applying some technology that runs amok. From classic 1950’s sci-fi movies like Forbidden Planet to just about every episode of Fringe, the message is that well-intentioned science can easily become misapplied and a danger to others. But is there any truth to the trope? Will we ever see a real Jurassic Park? As a fan and author of speculative fiction, I like to keep abreast of scientific developments and their future implications. One thing that seems quite clear is that science, for the most part, is much more public than what entertainment would lead you to believe. With a perpetual shortage of funding for science, researchers are motivated to have their work published and peer-reviewed. 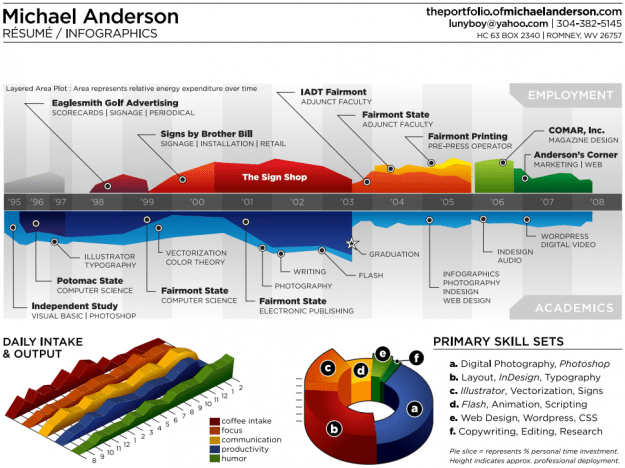 The more you are published and accepted, the more likely you will be able to receive and maintain funding. This provides a great check and balance system tying funding with openness, awareness, and approval. On the other hand, science and communication has progressed to a point where those not in the scientific community can achieve some pretty notable “successes” that can cause one to worry. In 1994, a 17 year-old was discovered trying to build a nuclear reactor in his backyard using radioactive materials found in smoke detectors as fuel. A few years later author Tom Clancy wrote the Jack Ryan novel Sum of All Fears in part to demonstrate how easy it was for anyone to learn how to build a nuclear weapon. And today a clandestine war is apparently being waged against Iran by parties unknown to keep them from developing nuclear capabilities without international oversight. These unchecked science worries are real and will undoubtedly be repeated. Another concern is science receiving financing from non-conventional sources, effectively bypassing the publish/ peer-review/ funding system of checks and balances. Gizmag recently reported an effort by a company called Oxitec to rid the world of disease-bearing mosquitoes through genetic manipulation. In a nutshell, their scientists have isolated a gene that keeps female mosquitoes from developing wings. Since grounded mosquitoes can’t mate, this mutation quickly leads to a population die-off. Laboratory tests have shown this to be extremely effective, but questions remain on whether we should seek to purposefully eradicate a species. Now, I hate mosquitoes, but how will a mosquito die-off affect the food chain? What other insects would fill the ecological niche left vacant and would they be worse? Those types of questions need to be explored and answered before such a drastic action such as extinction takes place. Unfortunately, Oxitec reportedly is so convinced of its merits that it has skipped most scientific debate and has already contracted with several nations. Genetically engineered mosquitoes have already been released in Grand Cayman (leading to an 80% drop in local mosquito populations) and Oxitec is in process of doing the same in Malaysia and Brazil. The world is now the laboratory whether we like it or not. Can science be the villain? No. Science is a tool. A hammer can build a home or it can bludgeon someone to death. This computer I’m typing on is a tool. So is the one you’re using to read my words. But just like a hammer, it can be used either to help or to harm. We all use science, we all apply science, we are all – in a sense – scientists. Every tool should be used in conjunction with these questions: “Will this help or harm?” and “Is it possible my ‘help’ can become ‘harm’?” It’s the reasoning while using the tool that leads to heroic help or villainous hurt. Sometimes it seems like the misguided use of science is a worn out cliche in speculative fiction. In some sense that is true. The lone, deranged researcher who locks himself away hoping his scientific breakthrough will heal his source of emotional pain has been over done. Yet it appears we still need a constant reminder of our own place of responsibility. Maybe we need more stories about the every day unintentional misuse of science. We don’t really relate to the mad scientist, but what about a villain who is just someone texting while driving? Or what about the facebook antagonist who ruins a person’s reputation and life with half-truths and gossip in the name of humor or shock value? Is science the villain? No. But we easily could be. Whew! Starting up a new retail business just in time for the holidays hasn’t left me much time or energy to either write fiction or post blogs, but here’s a good one to tie you over for a couple days… So what do you get when you mash up cellos, light saber duels, the most memorable Star Wars riffs, and a the ultimate bad guy playing an accordion? Well, you get Cello Wars… a great little music video from The Piano Guys. Enjoy! This week speculative fiction author Anne McCaffrey died at the age of 85. Best known for her series Dragon Riders of Pern and her story The Ship Who Sang, she was an amazing author who could build incredible worlds populated with deep, realistic, and messy characters – characters who could make you weep and laugh. I remember as a young teenager reading Dragonriders and being sucked in for many long days and late nights, followed by weeks of drawing dragons and imagining my own dragon stories. In recent years I got into her Freedom series, produced in her 70’s and 80’s and just as good as her earlier works. Anne McCaffrey is one of a handful of authors I credit for inspiring me to write. And this Thanksgiving I’m really thankful that she brought her passion and talent to the world. I would agree that this is the trend and that well-paying jobs at large corporations will continue to decline. However, the article mentions nothing about the opportunities these new technologies provide an individual. Today an average person can leverage their home computer in amazing ways to create new products and find customers all over the world. My blog and novel readers come from all over the world but find me all in the same place… their screens. In much the same way, we have the opportunity to become micro-industries servicing the whole planet. The secret is to figure out what we love and how to solve people’s problems with it.